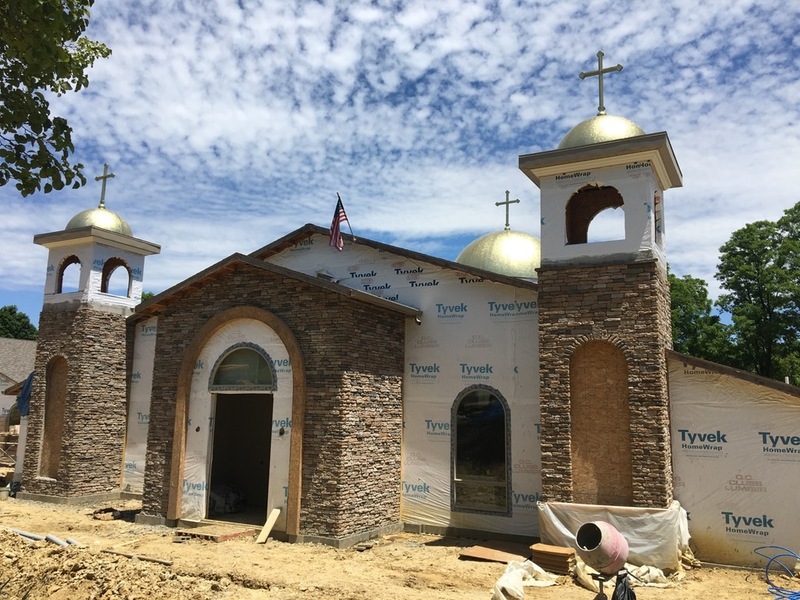 St. George Antiochian Orthodox Church - Entrance Stonework Complete and Brick Begins! The exterior of the church is changing more every week. 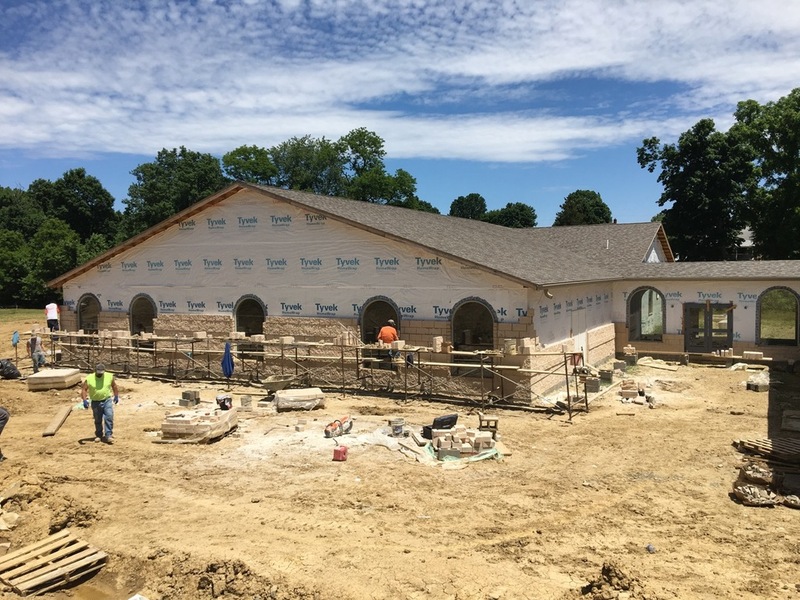 Last week crews completed the stonework around the entrance to the temple and began adding split-faced block to the exterior of the furture classrooms and offices.